1. While a lighthearted novel, The Magnolia Inn explores grief, loneliness, regret, and ultimately, redemption. What inspired these heavier themes throughout the novel? Carolyn: They say you should write about what you know. I lived with a father who was a weekend drunk and then with an alcoholic stepfather. They were both good men underneath all their problems, but the problem was there in both instances and it affected a lot of people around them. 2. Female friendship is such an important part of this book. I absolutely LOVED the characters of Aunt Sugar, Dottie, Lucy, and Flossie! They are four women who know what they want and aren�t afraid to ask for it, but even more importantly, they are there to support each other and Jolene no matter what. How did you go about bringing such authentic women to life? Carolyn: I simply combined some of the strongest women I know into those characters. A short story here about a sweet lady who has long since passed away. Miz Marie told me once that she�d hired a man to brush hog her forty-acre piece of land. He didn�t do it to suit her so she went down there and did it herself. I told her that she had no business out in the July hot sun on a tractor at her age (which was past 80 at the time). She just laughed and said, �When I got that done, I pulled the ladder out of the shed, got up on the house roof and trimmed the pear tree, but don�t fuss at me, Carolyn. 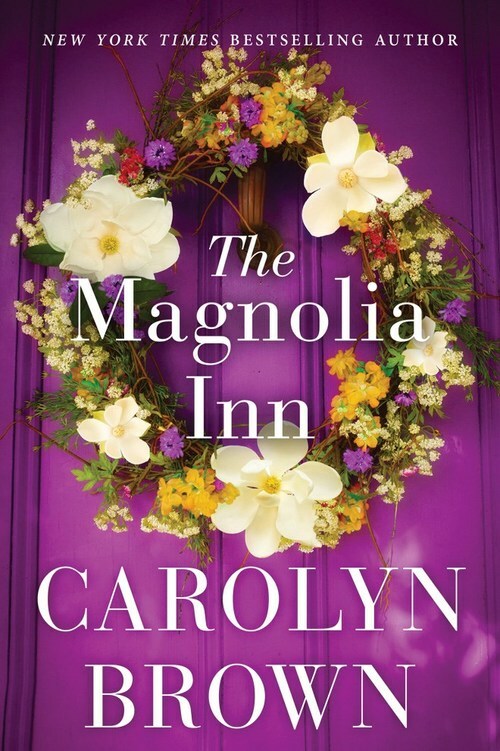 I promise I don�t crawl up under the rent houses to fix the gas leaks anymore.� Those are the kinds of women I�ve known, so it was easy to incorporate such strength and humor into The Magnolia Inn by remembering them. 3. Jolene and Tucker spend most of the novel working on the renovation of the beloved Magnolia Inn. Your descriptions of the updates were like watching an episode of Fixer Upper! Have you ever done any major home renovations, and how did that process pan out for you? Carolyn: Yes, ma�am, Mr. B (that would be my husband) and I�ve done lots of major home renovations. We turned our garage into a living room. We knocked out the walls between it and the living room/kitchen area, hung new drywall, and textured the ceiling to match the ones in the living room and kitchen. Several years ago our daughter bought a run-down house and we completely remodeled the inside of it, so it was easy to write about fixing up that old inn. 4. Jolene has a troubled past, taking care of addict mother and dealing with untrustworthy boyfriends. Tucker has his own demons, trying to get over the death of his wife. What was it like trying to get these two characters to fall in love? Carolyn: They were stubborn, but I knew they needed each other if they were ever going to find redemption and peace in their souls. So I just kept throwing them together. 5. You�ve written over 90 books! That is an amazing feat. What has been your biggest source of inspiration? How do you come with so many different character names!!?? Carolyn: Thank you. The Magnolia Inn is my 94th published book. I hope to see one of my goals met in 2020 when number 100 hits the shelves. Source of inspiration? Folks, including editors and my agent, who believe that I can do this job. Characters? I keep a chart of names used and I do a lot of research. I check the most popular names for a year or I take a look at my character�s back story. Was he/she named for a grandfather? Did they live in Texas where such names as Maverick, Creed, and Tucker are fairly common? Sometimes a character appears in my head with a name already there because it fits him/her so well. 6. What can readers expect from you in 2019? Carolyn: The rest of the year looks like this: The Perfect Dress (April 16); Cowboy Rebel (May 28); Christmas with a Cowboy (September); and The Empty Nesters (Sometime in the fall). Best compliment you recently gave to someone: You are the best parents I know. Random interesting fact you like to tell people: It took me twenty years of collecting rejection slips before I was finally published! You have a totally free afternoon - no deadlines, no obligations, no Twitter notifications! �What do you do? : Mr. B and I take a drive and have an ice cream. I�m definitely not high maintenance. Inheriting the Magnolia Inn, a Victorian home nestled in the East Texas pines, is a fantasy come true for Jolene Broussard. After living with the guilt of failing to rescue her self-destructive mother, Jolene knows her aunt and uncle's B&B is the perfect jump start for a new life and a comforting place to call home. There's just one hitch: stubborn and moody carpenter Tucker Malone. He's got a half interest in the Magnolia Inn, and he's planting his dusty cowboy boots squarely in the middle of her dream. Ever since his wife's death, Tucker's own guilt and demons have left him as guarded as Jolene. The last thing he expects is for his new partner to stir something inside him he thought was gone forever. And as wary as Jolene is, she may have found a kindred spirit�someone she can help, and someone she can hold on to. Carolyn Brown is a New York Times and USA Today best selling author and a RITA Finalist who has sold more than 2.75 million books. She presently writes both women's fiction and cowboy romance. She has also written historical single title, historical series, contemporary single title, and contemporary series. She credits her eclectic family for her humor and writing ideas. 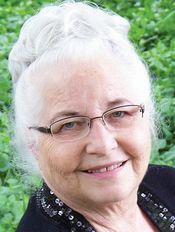 She was born in Texas but grew up in southern Oklahoma where she and her husband, Charles, a retired English teacher, now make their home in the town of Davis, Oklahoma. They have three grown children and enough grandchildren to keep them young. books! Thanks for the interview.